The art for the new area is all in place, and the puzzles/interface is now being sorted. As much as I would love to show you all a preview for the newest area, I would much rather not spoil the effort of building it for the players. So, instead, I have come up with an alternative solution. 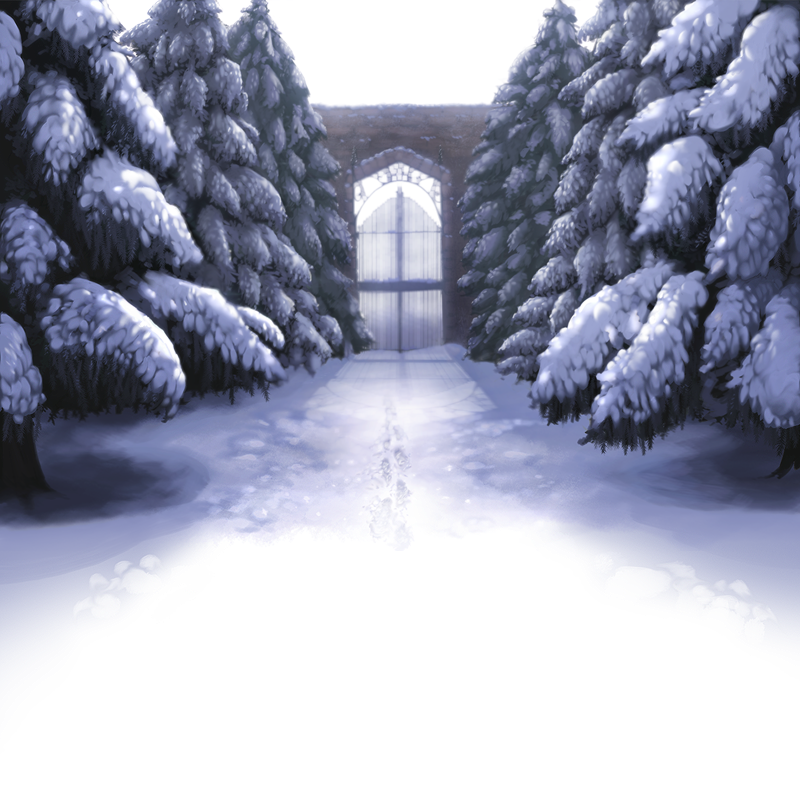 The background is already up, in the RPG. You'll notice, if you visit, that Crav and I have chosen to include a side-border to stop the image from repeating, it extends to just over 2000 pixels wide. If you prefer to frame the game's background well in your browser while you are playing, most mainstream browsers support a Zoom function accessible by pressing CTRL and + or - ...You can also press CTRL and 0 (zero) for the default Zoom setting. I'm planning on sweeping down from Snowgate toward the Great Forest and eventually Tireal, time providing. If you guys have any requests or suggestions, funny ideas or whatever, let me know. This stuff is for our mutual entertainment. Please feel free to share your thoughts on the new art and how you think it compares to the original draft, as well, thanks. Just wanted to mention, my sympathies to those of you currently locked in the firm grip of ice ghouls. I am sympathetic to your frozen plight, and in no way have I meant to slight you or any brothers and sisters lost to exposure with this wintry display. The tongue of the coldlord lashes you so, and we of the fiery south forget all too easily how heavy its smothering fists bear down upon you. Damnit AI it looks great, almost makes me want to take on another pair of long johns! I might actually start playing the RPG again. Can I join in on the fun? I'm no where near as talented, but once in a while I like to put my meager abilities to the test. I'm fairly proud of this piece. You'll never see it in the actual game because AI has since done a much better version. I found this background on a random site during one of my resource hunts, and really liked it because it was perfect for something I was planning. productivity, I decided to add to the exisiting picture with my own art until it was usable. Roughly 50% of this picture was drawn by me. I did my best to match the existing style. Can you guess which parts I added? ^^ My version of that one's my second favorite of the images so far, and it certainly wouldn't have been as effective if I didn't have something to inspire me to use such a complicated lighting scheme. I'd love to show you all, but you'll have to get there yourselves. In the meantime, I'll be making the game up to that point more attractive, as well as unified. Crav did a great job of toning the image up without too many tips from me, and he probably could've done all of that without any of my input to speedup the process. Parts of my version may have come out somewhat less organic than that source, in some ways, but the detail is all much higher level and the lighting and scale is handled a bit more realistically, I think. I probably need to try to avoid making things too "picturesque" at times, but that's all my design knowledge telling me to put everything in its ideal place, etc. Oh, I don't know... I think that overly "picturesque" images can have that sort of "videogamey" campy charm that I'm actually a fan of. Yeah, games are usually overwrought with precise design decisions that are totally unrealistic. Really, what's it matter if your engine is cool or whatever, when the imagery is a messy jumble? Okay, Crav has nearly finished all of the text and area uploads as well as the enemy programming. We're just now shifting into the editing stages. 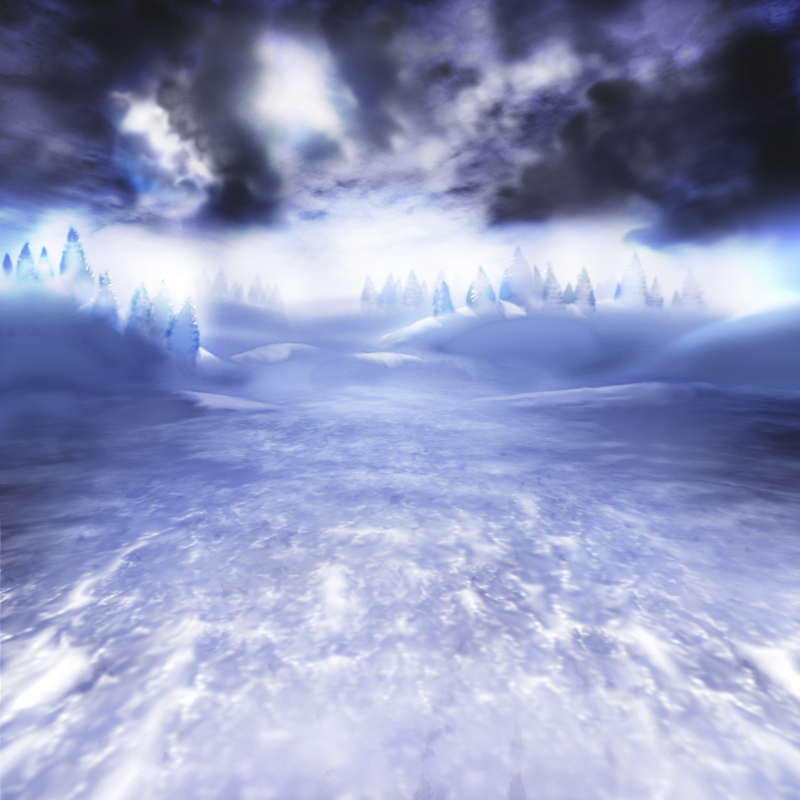 Penny for your thoughts, suggestions for how I should tackle the rim and basin of the frozen crater would be welcome. AI, that picture is extremely cool. It looks like it was computer generated, even. Very sweet. It seems that some post disapeared for me a couple of days ago (i blame bad connection due to Blizzard). As i tried to state before, make that 3 long johns! AI finished a new background for the the first town in the game, Terial. Thanks for playing, watching, etc. Comments are appreciated! That looks nice, but I'm unsure of the perspective down the bottom. There's too little detail to get a real sense that that snowy cliff is occluding the pit when looking at the pit.